Sound bars are becoming more popular than ever and there are various ways that you can install your sound bar such as using sound bar brackets or mount the sound bar directly to the wall. However, not all sound bars mountable so if you must be able to mount your sound bar either to your TV or to the wall, make sure that the sound bar has the option of getting mounted. Flat screen televisions are getting thinner and thinner and because of that built-in speakers on most flat screen televisions are getting smaller and smaller. Most flat screen TV’s speakers output only 10 watts per speaker (left & right). 10 watts of audio output is very weak and if you’re watching a movie or a music video, you will not get the sound that you deserve with only built-in TV speakers. So what are your options? You can get a home theater system and spend lots of money on AV receiver, speakers, sub-woofer and costly labour to install the entire system. Or installing a sound bar with your TV can be a great alternative solution to home theater system as it doesn’t require too much labour. If your home is not already pre-wired with speaker wires for common 5.1 channel or 7.1 channel systems then sound bar might be your best option. There are many sound bar manufactures and different models and huge gap in price range from very basic entry level starting from around $100 range to top of the line sound bars being just under $3,000 range. When it comes to audio systems, the term “You get what you pay for” is very true. So if you want high quality sounding audio systems, you have to set your budget at a certain level. For sound bars, we usually recommend setting your budget minimum around $500 range and up for some decent quality sound. And stick to already well known Audio brands like Bose, Yamaha, Denon, Onkyo, Klipsch, Harmon Kardon / JBL, Paradigm, Sonos and so on. Many TV brands such as Samsung, LG, Panasonic, Sharp & so on, manufacture amazing high quality HD televisions. And they also have their own line up of sound bar systems but when you compare the sound quality versus the well established Audio companies mentioned above, you can tell that the TV manufactures are not quite there yet for high quality sound to compete with well known audio brands. 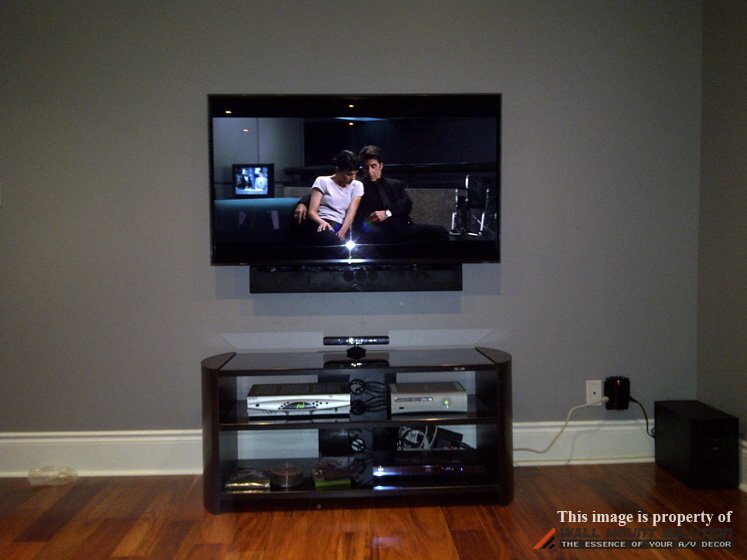 See examples below to get some ideas of how Sound Bars can be installed in various ways. 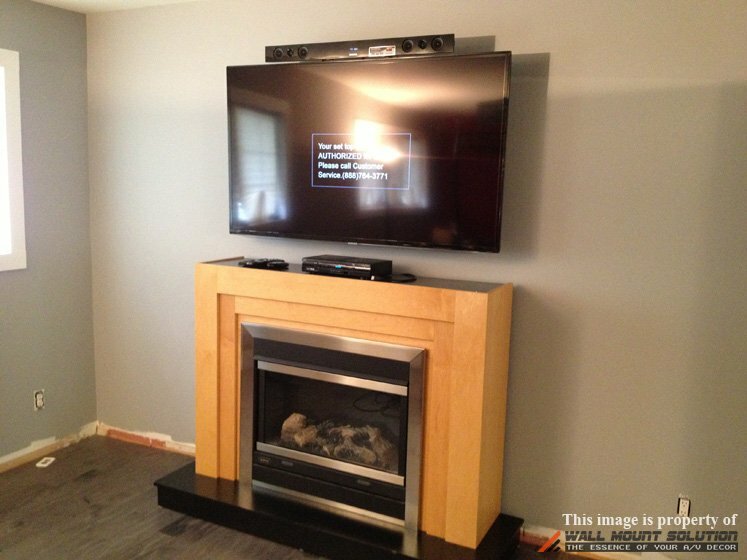 Figure 1 shows a 55″ Sony LED TV mounted on a custom built-wall with fireplace underneath. Denon DHT-S514 sound bar mounted flush against the TV using sound bar brackets. This is an old house that’s been gutted out completely and renovated. The owner of the residence took the opportunity during renovation to have pre-wiring done for his AV setup like HDMI cables running from above the fireplace to the closet (not shown in this picture) on adjacent wall where the components are hidden away out of sight. Logitech Harmony Ultimate Remote was added to this AV setup to control the components that are hidden away in the closet. 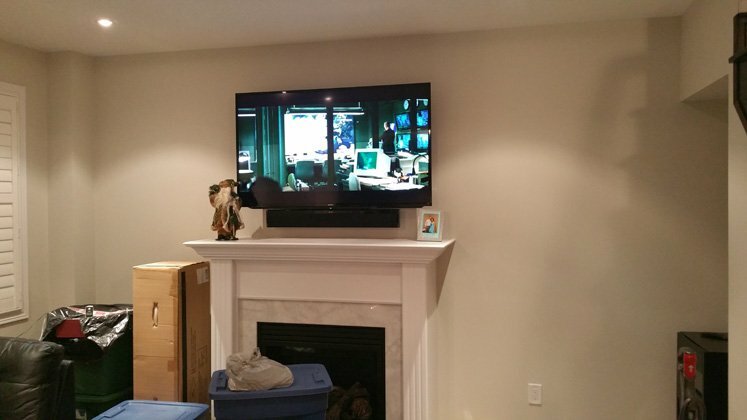 Figure 2 shows a 46″ Sony TV mounted on a custom built wall over fireplace in a basement of a house. HDMI cables were pre-wired when custom wall was getting built. Denon sound bar is mounted below the TV flush against it using sound bar brackets. Components are hidden away in the cabinet on the left side of the fireplace where the HDMI cables run to from the TV. An IR repeater was installed in order to control the components hiding inside the cabinet. As you can see, there’s a little black IR receiver attached by the left edge of the fireplace. IR receiver receives IR signal from your remote(s) then sends the signal it to the IR distribution block which then blasts the signals to the emitters attached to each component. 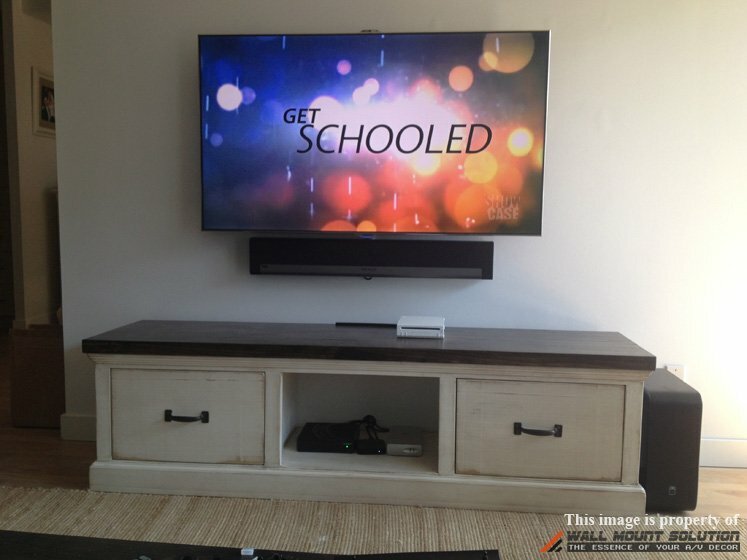 Figure 3 shows a Samsung 55″ 8000 series LED TV installed on the wall with Bose SR1 sound bar attached to the TV mounted right below using sound bar brackets. Figure 4 shows a Samsung 55″ 7000 series LED TV mounted on a wall with Sonos playbar sound bar mounted onto the wall directly below the TV. 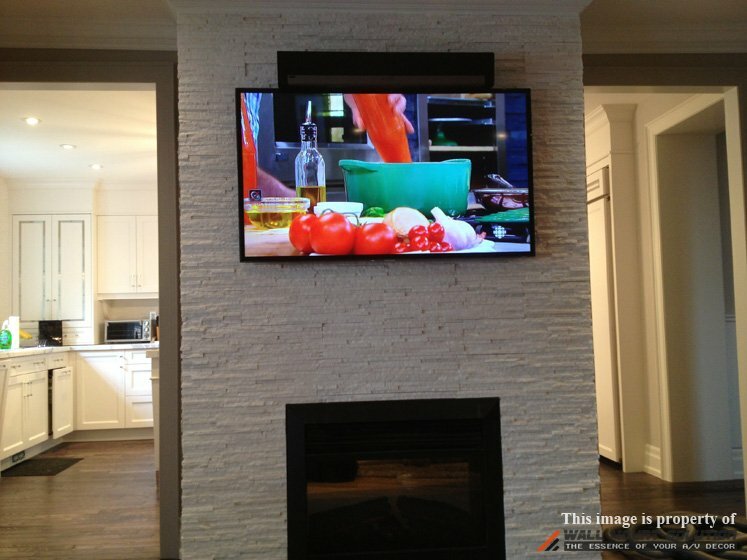 Figure 5 shows a 55″ Samsung TV mounted onto a custom built wall over fireplace. Sonos playbar was installed flush against the top of the TV using sound bar brackets. For this project, it involved coordinating with the home owner, general contractor and us to plan out the custom wall layout. As you can see there’s cultured stone veneer on top of the drywall. So we had asked the contractor not to put any stone veneer there and have couple layers of plywood installed where the TV will be mounted. There’s also a small compartment inside the wall to place Rogers HD box behind the TV which was done during the TV installation. 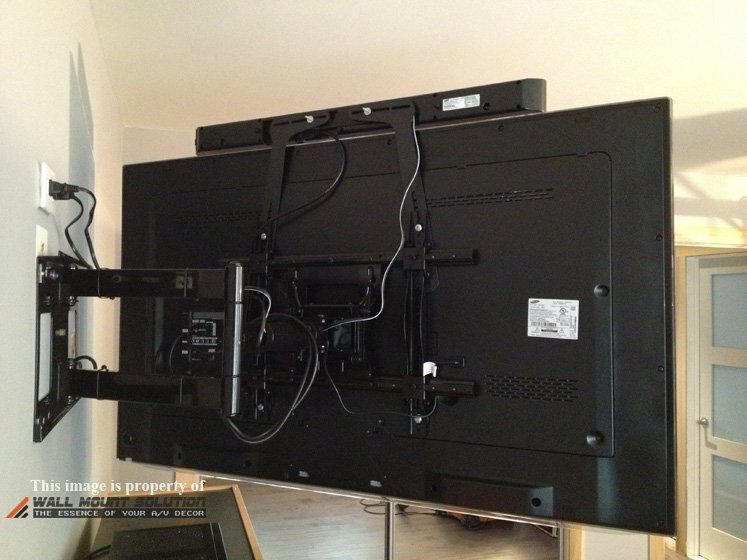 TV was mounted using an articulating bracket in order to be able to pull the TV away from the wall to access the cable box for when it needs rebooting. 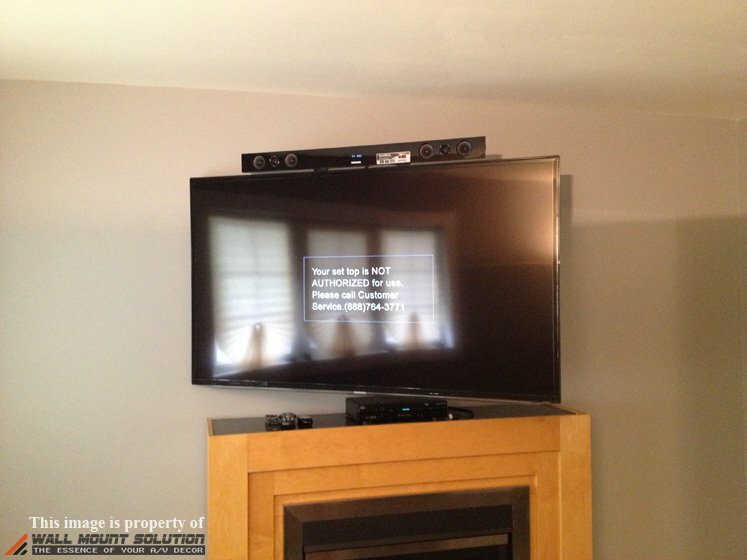 An IR repeater is installed to control the cable box hidden away behind the TV. Figure 6 shows a 65″ 4K UHD HU9000 series Curved TV mounted on the wall. Samsung HW-F750 sound bar was installed flush onto the bottom of the TV using sound bar brackets. 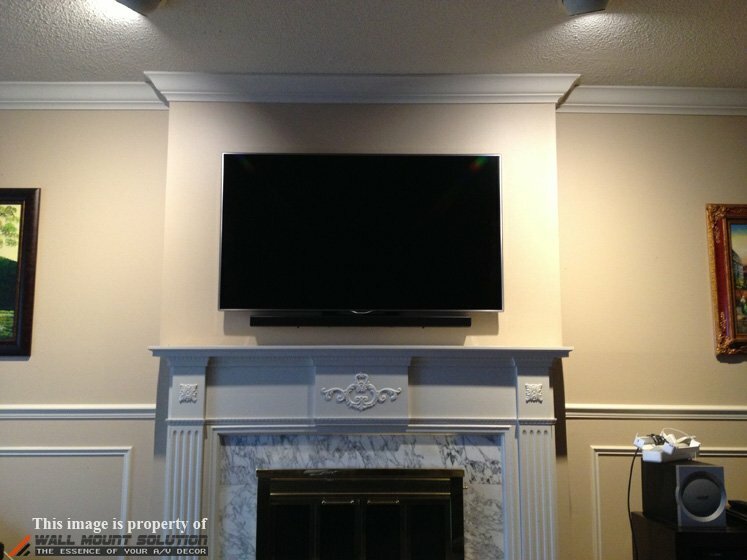 Figure 7 shows a Bose Lifestyle® 135 Series III Sound Bar Installed using sound bar brackets flush against the Sony 55″ LED TV mounted over fireplace. This house is a brand new build. And there was a conduit running from over the fireplace to the right side of the recessed wall where the components are placed. 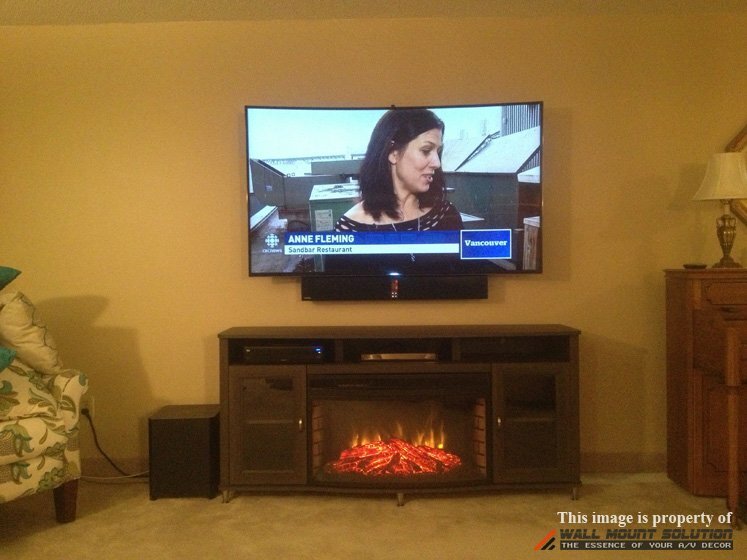 Figure 8 shows 55″ Samsung 7000 series LED TV mounted over fireplace. Samsung HW-H550 sound bar mounted onto the TV using sound bar brackets. Figure 9 shows a 46″ Samsung LED TV mounted on the wall. 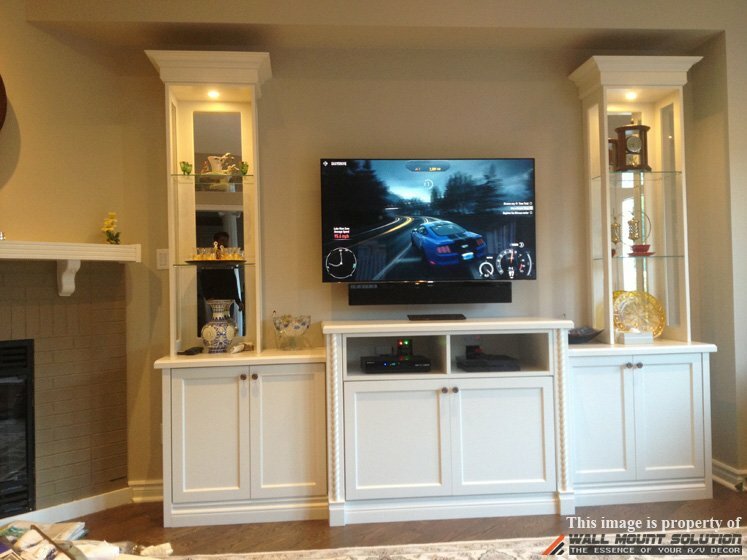 Bose SR1 sound bar is installed directly below the TV onto the wall. 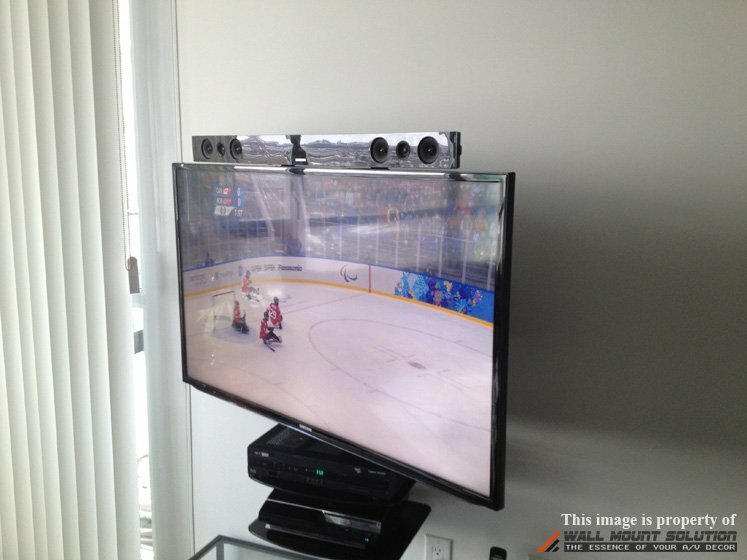 Figure 10-1 shows a Samsung 55″ TV installed onto the wall with an Articulating Bracket Product ID: 1002. Samsung HW-F450 sound bar is mounted above the TV using sound bar brackets to the back of the TV. So when you swivel the TV, the sound bar swivels with it pointing the same direction towards the audience. Figure 10-2 shows the TV wall mounted with an articulating bracket swiveled to the left and the sound bar pointing the same direction. Figure 10-3 shows the back of the TV showing the articulating bracket and the sound bar brackets. 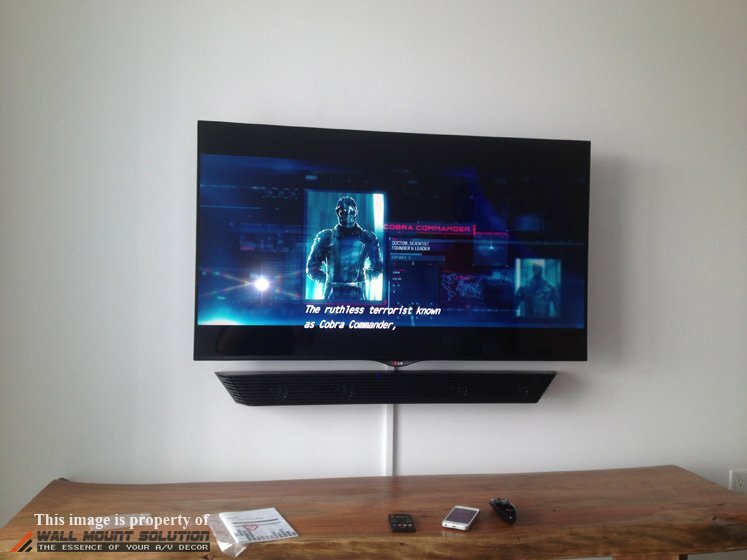 Figure 11 shows Polk Audio Surroundbar 6000 IHT installed flush onto the wall mounted LG TV using sound bar brackets. Figure 12 shows a 55″ LG TV mounted on the wall. Polk Audio “Gaming Sound Bar” N1 is installed onto the wall below the TV. Wires are concealed using wire raceway. 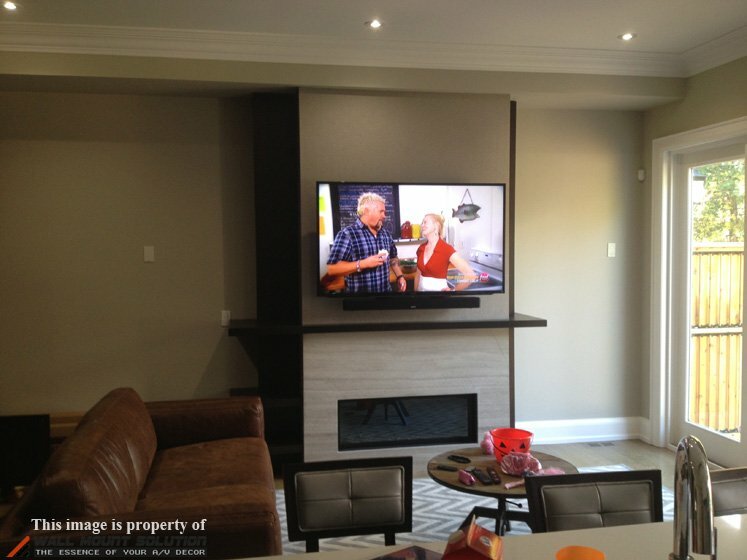 Figure 13 shows a 55″ LG TV mounted onto concrete wall in a condo. LG sound bar is mounted below the TV. Wires are concealed on the wall using wire raceway. Component stand wasn’t present at the time so the Rogers HD box is just sitting on the floor until it arrives. 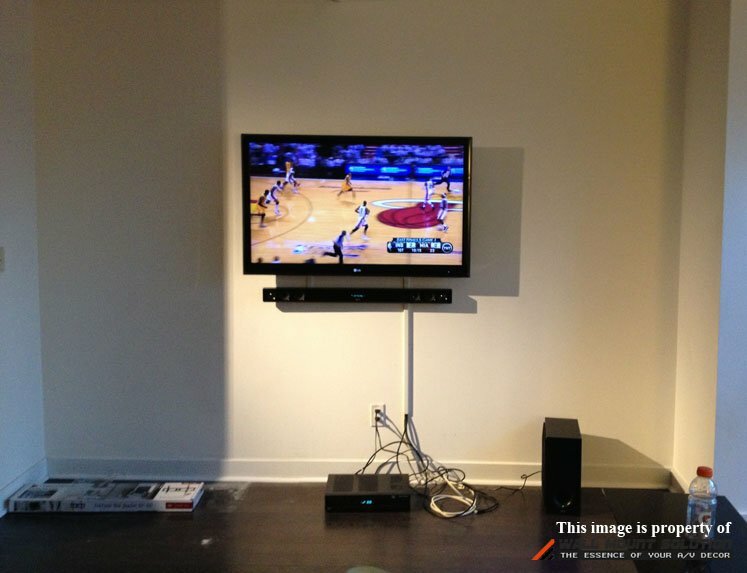 Figure 14 shows a 46″ Samsung LED TV mounted with an Articulating Bracket Product ID: 1002. Samsung sound bar is mounted above the TV using sound bar brackets. As you can see, the sound bar swivels with the TV.